The Boxer is fun-loving, bright, active and loyal. They are patient and spirited with children, but also protective, making them a popular choice for families. Their heritage as a chaser of wild game means that they spend a good deal of time jumping and leaping about, and as young dogs, they are constantly in need of correction to teach them to stay “down.” They need daily exercise. 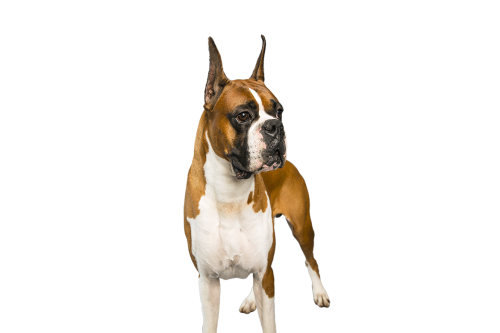 Boxers are highly intelligent but intolerant of repetitious commands that they consider boring - they definitely have minds of their own and are excellent problem solvers.